Location, Location, Location!!! 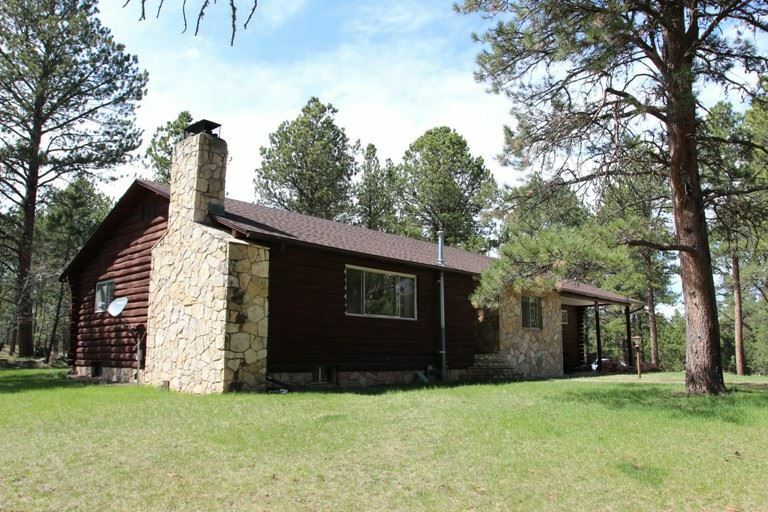 This home is located just outside Custer on 5.46 acres of park-like ponderosa pines. You will have privacy and no covenants. 4 Bed/2Bath home with a new kitchen 2-car garage and a cute little garden shed. Circular/private driveway, stone retaining wall, stone exterior on front and covered stoop as well as log siding make this home feel so perfect for the Black Hills. 2 Wood burning fireplaces, main floor laundry and so much storage. Build-in cupboards and drawers and the second bathroom has a glass block corner shower. You have to see this home, just outside of town with easy access to shopping and the privacy of country living.